In a deal announced Monday, Sony Classics also acquired rights to Latin America, Eastern Europe, Scandinavia, Asia (excluding China, Japan, and Singapore), Gloria Bell and Benelux from HanWay Films. 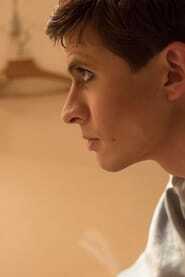 “The White Crow” inspired by the book “Rudolf Nureyev: The Life by Julie Kavanaugh.” Fiennes directed from a script by David Hare. HanWay Films, which is handling worldwide The Emperor of Paris sales, also co-financed the film together with BBC Films and Rogue Black. Oleg Ivenko stars as Nureyev, alongside Adèle Exarchopoulos as Gully Boy Clara Saint, and Fiennes as Russian ballet coach Alexander Pushkin. The cast also includes dancer Sergei Polunin, Chulpan Khamatova, Olivier Rabourdin, Raphaël Personnaz, and Louis Hofmann.